Heartbreaker is about a teenage girl named Pony in 1985, living in a remote town with strict rules and limited contact with the outside world. 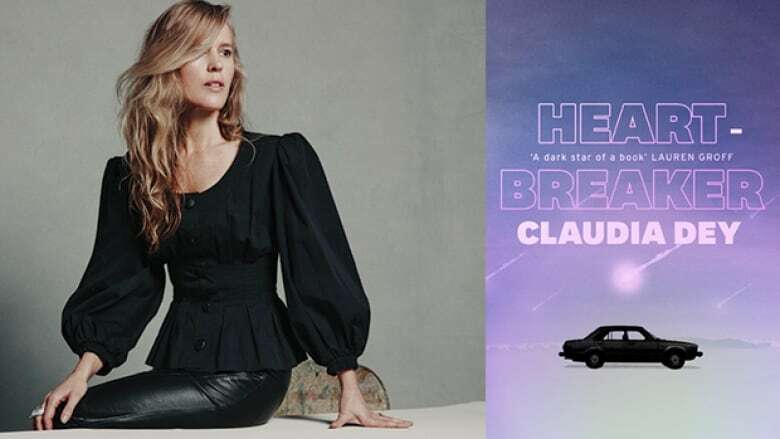 Claudia Dey's new novel Heartbreaker revolves around life in the 1980s. It's about a teenage girl named Pony, living in a remote town with strict rules and limited contact with the outside world. When Pony's mother, the ethereal Billie Jean, vanishes from "the territory" and becomes the first person to ever leave the commune, Pony, her loyal dog Gena Rowlands and a boy nicknamed Supernatural work to find out why Billie Jean disappeared. "I think when you're a teenager you are looking for ways to live and ways to be. I enjoyed the 1980s and the novel is set in 1985. I was 13 [at the time], and so the aesthetic of that time enters the book. The electric blue eyeshadow, the leopard print, the camouflage, the crimped hair, the feathered hair — it all enters the book, as does the music. And the music is essential to the book. "Setting it at that time was an aesthetic choice. I loved the fashion, I loved the music, but I also wanted to take the story outside of the now. I wanted to be inside a time where the technology was more simple." "The place called 'the territory' in the book is the remains of a cult set in the far north, with a population of 391 people. I wanted to create a place that was so remote that it was nationless. I didn't want to pin it to a country. I didn't want to pin it to a continent. I wanted to evoke what I saw in imagery as I was writing. Places I'd never been to but that I could feel in my bones — the snowfields, these dense forests, this endless sky." "The feeling of adolescence is the feeling of excitement but also of boredom. But every night is the night that could change your life. You know you're leaning into a mirror and you're putting on lipstick and you're making your way to a bonfire you know and it could be the night that finally at last separates you from your childhood. "Pony is trying to make sense of her mother's disappearance and her own anguish over what it was to lose that central position in her mother's life. It's such a vital state. It's the state of transformation." Claudia Dey's comments have been edited for length and clarity.